The Palestine Liberation Organisation’s (PLO) Central Council, the second-highest Palestinian decision-making body, has recommended revoking recognition of Israel until the latter recognizes the State of Palestine in its 1967 borders, with East Jerusalem as its capital. 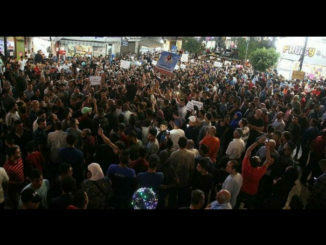 During a meeting in the occupied West Bank city of Ramallah late on Monday, the PLO, which is an umbrella of major Palestinian political parties, said it “assigned” its Executive Committee “to suspend recognition of Israel until it recognizes the State of Palestine on the 1967 borders and revokes the decision to annex East Jerusalem and expand and build settlements,” according to Wafa, the official Palestinian news agency. In a final statement read after the meeting, the PLO also said that the Oslo Accords, signed with Israel in the early 1990s, “no longer stand”. 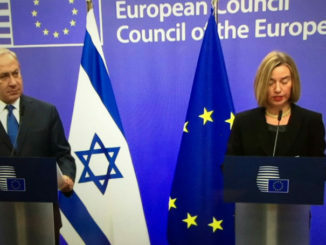 It added that it would renew its decision to “stop security coordination [with Israel] in all its forms” and called on all Arab states “to sever all ties with any state that recognises Jerusalem as the capital of Israel and transfers its embassy to it”. But several Palestinian political parties expressed their reservations on the final statement, saying the language was vague. Omar Shehadeh, a leader in the Popular Front for the Liberation of Palestine (PFLP) party, said there was no clear decision to end the Oslo Accords, withdraw recognition of Israel and stop security coordination. He added that assigning the PLO’s Executive Committee to take such actions could take some time. The meeting comes following a decision in December by US President Donald Trump to recognise Jerusalem as the capital of Israel and to move the US embassy from Tel Aviv to Jerusalem. Breaking with decades of US policy that favored a two-state solution, Trump’s declaration dealt a blow to the Palestinian leadership, which for more than two decades has unsuccessfully attempted to establish a state on the West Bank, Gaza Strip and East Jerusalem. 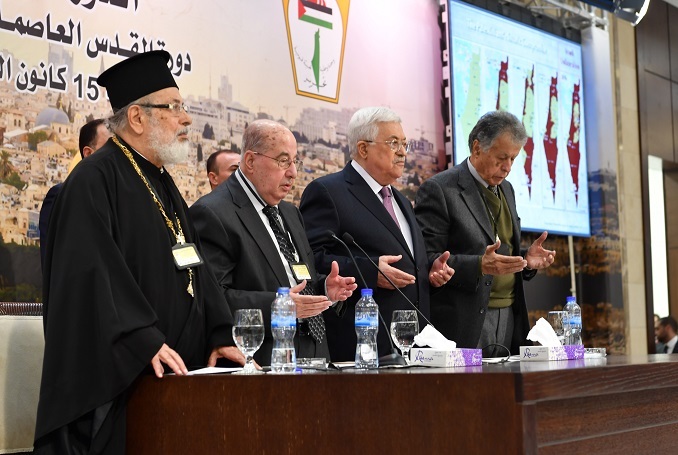 The PLO meeting in Ramallah was organized to lay out the Palestinian strategy to confront the US in the wake of its Jerusalem decision. At the start of the two-day meeting, Palestinian President Mahmoud Abbas slammed Trump’s peace proposal, saying: “Now we say ‘No’ to Trump, we won’t accept his plan – we say the ‘deal of the century’ is the slap of the century,” referring to the US president’s pledge to achieve the “ultimate deal”. 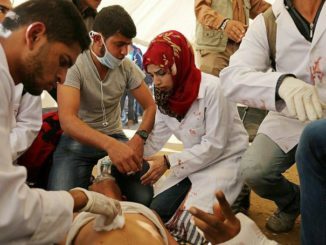 In the final statement, the PLO said it would find “other international pathways under the auspices of the United Nations to sponsor solving the Palestinian cause”. After officially recognizing Israel’s existence in 1988, the PLO and Israel signed the Oslo Accords in 1993 and 1995 meant to lead to the creation of an independent Palestinian state through the establishment of an interim Palestinian government – the Palestinian Authority.